Crimp Oil Balm des Alpes is a 100% organic, natural skin balm designed to fix worn out skin and soothe sore muscles after climbing. 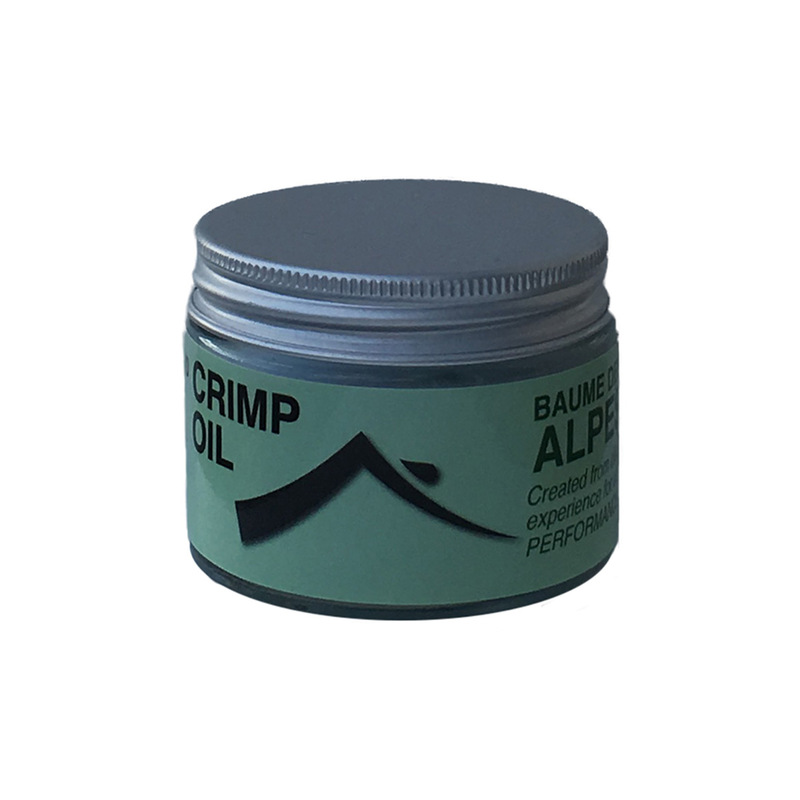 Crimp Oil Balm des Alpes is anti-inflammatory and provides natural pain relief for injuries and sore muscles; it can be used before and after climbing to combat muscle fatigue, or applied to injuries throughout the day for quick and healthy healing. Apply it after climbing, mostly on fingers and feel better the next day in order to climb again.